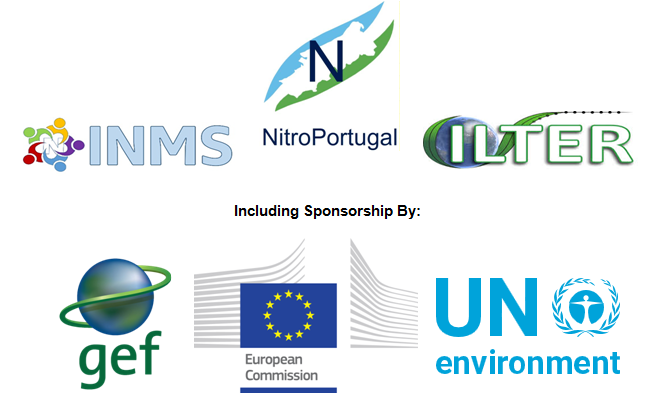 This workshop looks to exploit the synergy between the NitroPortugal, INMS and ILTER activities, including sponsorship by the European Commission's Horizon 2020 Programme, UN Environment, and the Global Environment Facility (GEF). INMS stands for the International Nitrogen Management System, which is funded through the “Towards INMS” project implemented by UN Environment and executed by the International Nitrogen Initiative (INI). The ILTER is the International Long Term Ecosystem Research network which has established a special focal area on the nitrogen cycle. In this workshop two main parts are considered. In the first part of the workshop, NitroPortugal will review nitrogen threats relevant for Portugal related to Water, Soil and Greenhouse Gas balance. The goal will be a better underpinning of the Portuguese assessment of these threats as a contribution to international capacity building. The second part of the workshop will focus on developing tools for understanding and managing the global nitrogen cycle. The threat assessment topic will seek to develop the overarching methodology (core focus), while the topics on flux and distribution, and on examining barriers, will provide a first scoping of issues and approach. It is expected that the workshop will include around 30 people. INMS partners are welcome to attend and should indicate their interest (and how they propose to contribute to the activity) on the linked web form to the INMS Project Coordination Unit (PCU) based at CEH in Edinburgh. Partners requiring funding for travel and accommodation should indicate their need on the form. Applications for funding will be considered by the PCU in cooperation with the relevant Activity Leaders on the basis of technical suitability, nature of the expression of interest, regional balance, gender balance, and timely response. Please find the provisional agenda for the Meeting here. Please register for both the NitroPortugal Meeting and the INMS Activity meetings within the NitroPortugal Meeting using the webform found here. Please note: If you require travel funding, further documentation, and/or visa documentation, please wait for INMS to contact you before booking your travel and accommodation.